Would you like to get high quality photos of distant subjects? Your football star kids? A sports star at a game? A family of squirrels? There is no need to lug a 15-lb., 3 ft. long f2.8 telephoto lens around. 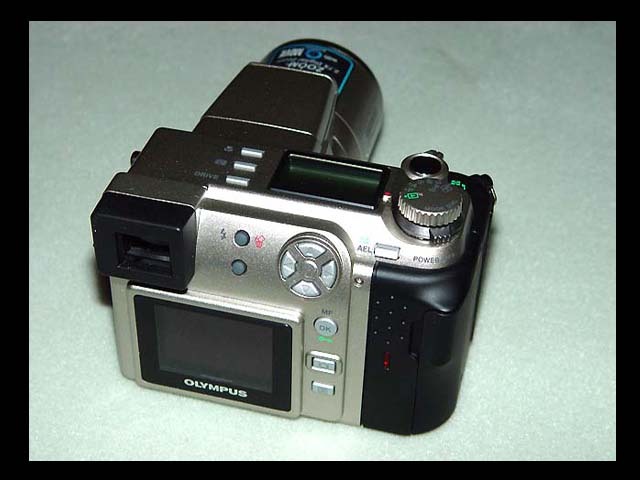 This Olympus C-2100 Ultra Zoom camera is up to the task. 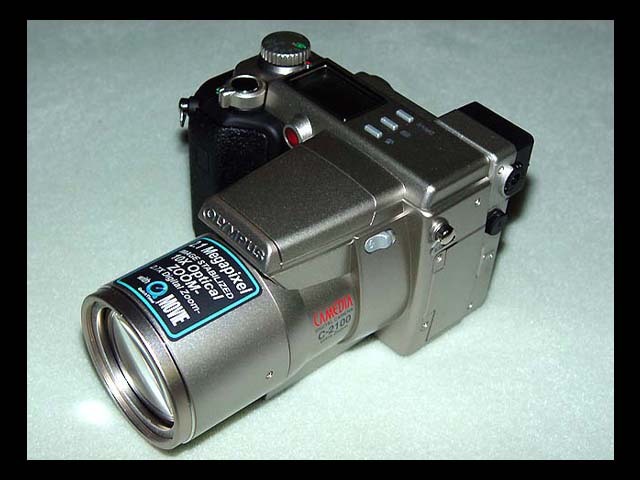 The C-2100 Ultra Zoom camera features a 10x optical zoom (equivalent to 38 - 380mm) and 2.7x digital zoom. The two zooms enabled together will give you the equivalent of a 27x zoom camera. Optical stabilization ensures your pictures will be sharp and jitter-free. Would you like to get high quality photos of close objects? A butterfly or the inside of a blooming flower? This camera can do it very close using the Macro Mode. You can count on 2.1 million megapixels to make for exceptionally clear 8"x 10" enlargements. This camera’s performance is near perfection. There are no scratches on the camera and it has no known problems. 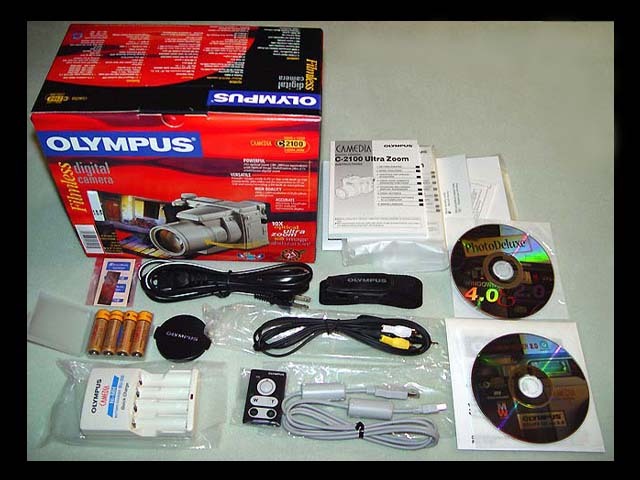 This auction is for a Pre-Owned Olympus model C-2100 Ultra Zoom camera together with all the boxed original items. I purchased this camera new from CompUSA and it is not a refurb. It was used for a trip to Disney World and is in perfect condition. (2) each 128 MB SmartMedia Cards in addition to the stock 8 MB Olympus card supplied. 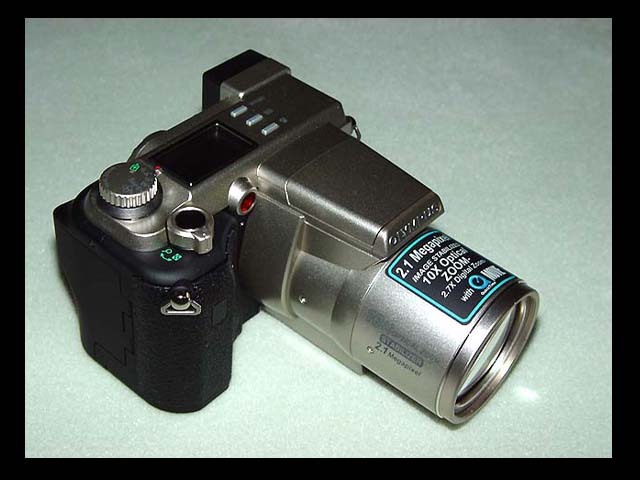 Flash range - W: 11.8 - 13 ft. & T: 3.25 - 11 ft.
Panorama pictures – Yes when using Olympus brand storage media (Other brand cards might not perform Panorama functions in this camera). * Some Additional Specifications listed above were gathered from various web sites and can’t be guaranteed 100 % accurate. Please Email me with any question you may have prior to bidding! Payment is to be in the form of Money Orders, Cashiers Check or PayPal. All payments using PayPal must include a "confirmed address" or I do not ship Item. I cannot ship outside of the continental United States. No Alaska or Hawaii. Sorry folks. I normally ship via UPS Ground with online tracking number. Packing, shipping and insurance is $19.95 using UPS ground service. Packing, shipping and insurance costs will be paid for by the buyer. I will not ship item to a P.O. Box, APO’s or FPO’s. Item will ship 24-48 hours after payment has been verified/cleared. The packing, shipping and insurance charge is waived for local pick-up in Fort Lauderdale, Florida. 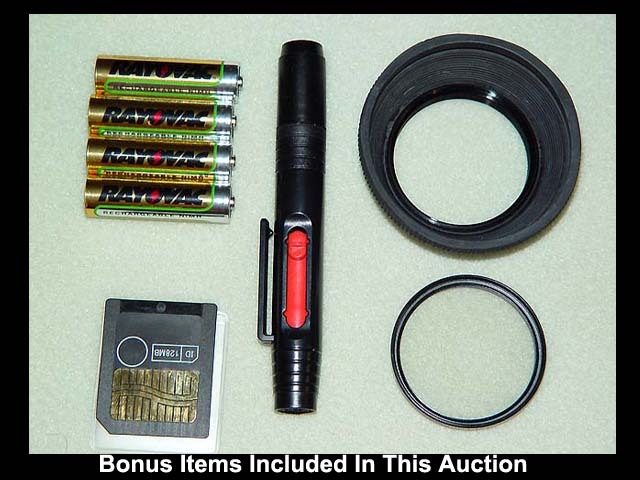 "Good Luck & Happy Bidding"
" THIS ITEM IS ADVERTISED LOCALLY AND I RESERVE THE RIGHT TO END THE AUCTION EARLY ! "